When five of designer Rachel Zoe’s employees announced their pregnancy within a period of a few months, she made an important and thoughtful decision: she had an office nursery built. For Zoe, the choice to help facilitate a convenient childcare option for these new moms and their babies was a no-brainer, especially since Zoe established and has grown her own business (from just a few staffers to now 40 employees) while raising her two young children. The stylish and warm space makes both baby and mom happy since the employees can check on their little ones throughout the day. Zoe is confident that providing an on-site child care solution is a win-win situation for everyone, and that opening a nursery sends an important message to her employees about creating work-life balance, supporting women in business, and developing opportunities so that mothers can be present in their professional and personal lives. Zoe states, “… I made one of the best business decisions I’ve ever made and opened a nursery… Seeing how motivated and committed the mothers on my team were after returning from maternity leave and being able to set up their babies in the nursery has only solidified my belief that every company should consider this option… what we are getting in return is invaluable; the working mothers at our company can improve and grow our business without having to sacrifice spending precious time with their babies at such a crucial stage in their mother-child relationships.” You can read Zoe’s blog post on why she added a nursery onto her business in its entirety here. When five of designer Rachel Zoe's employees announced their pregnancy within a period of a few months, she made an important and thoughtful decision: she had an office nursery built. For Zoe, the choice to help facilitate a convenient childcare option for these new moms and their babies was a no-brainer, especially since Zoe established and has grown her own business (from just a few staffers to now 40 employees) while raising her two young children. The stylish and warm space makes both baby and mom happy since the employees can check on their little ones throughout�the day. Zoe is confident that providing an on-site child care solution is a win-win situation for everyone, and that opening a nursery sends an important message to her employees about creating work-life balance, supporting women in business, and developing opportunities so that mothers can be present in their professional and personal lives. Zoe states, "... 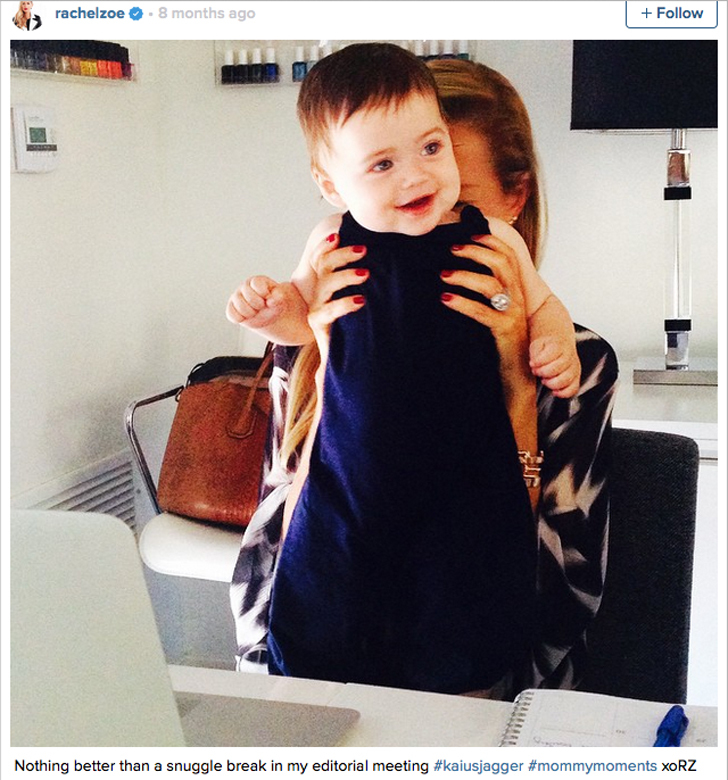 I made one of the best business decisions I�ve ever made and opened a nursery... Seeing how motivated and committed the mothers on my team were after returning from maternity leave and being able to set up their babies in the nursery has only solidified my belief that every company should consider this option... what we are getting in return is invaluable; the working mothers at our company can improve and grow our business without having to sacrifice spending precious time with their babies at such a crucial stage in their mother-child relationships." You can read Zoe's blog post on why she added a nursery onto her business in its entirety here.